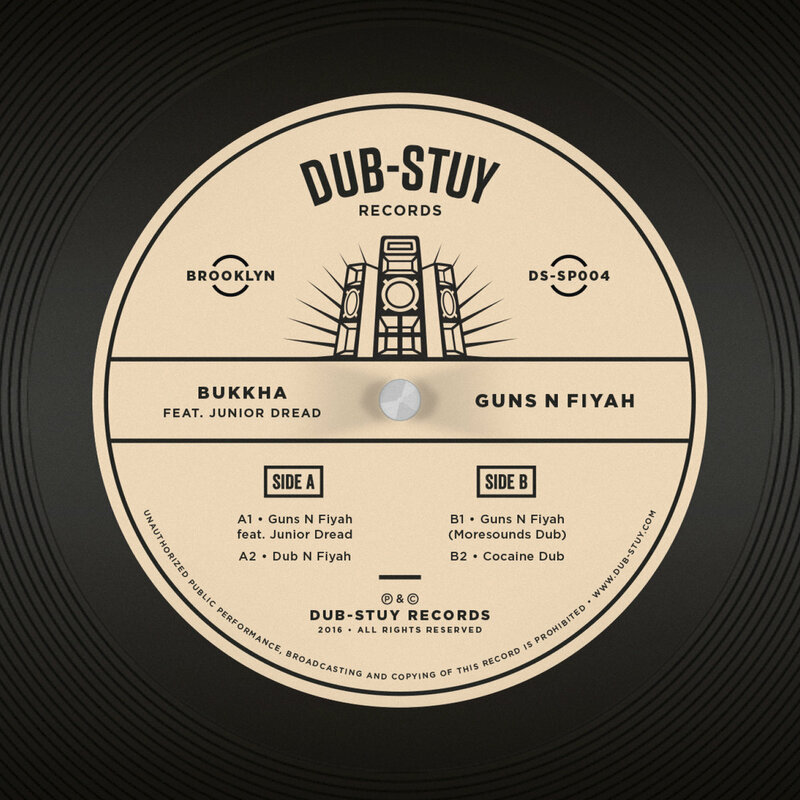 DUB STUY Records Presents: Guns N Fiyah by Bukkha feat. Junior Dread with a remix by Moresounds. Moresounds – Ghetto Dub Vol.1 – OUT NOW ! From within the depths of the Paris underground, somewhere between the glory of its tourist attractions and the grittier underbelly of its myriad expatriate communities, Moresounds sits behind his mixing desk and synthesises. He takes from what’s around him and what he loves and makes something new. King Tubby’s shadow looms over his shoulders as he channels the spirit of dub into his tracks. Dance music in dub. Dubbed dance music. Dub as a process, invigorating the sometimes sterile sounds of electronic dance music. The result is music that wouldn’t be out of place in a modern cyberpunk tale – the perfect soundtrack to the daily happenings of a generation of hybrid thrill seekers always plugged in, always streaming media directly into their ears and retinas. Alternatively it also makes for pretty good fun on the dance floor, dub wise riddims designed to make you groove. Like Moresounds FB page and grab it for free ! Also check The “Moresounds – Ghetto Dub Vol.1” Teaser !! Thanks, Peace and DUB THE WORLD !